I have to say sometimes it pays to be a procrastinator. A little over a year ago we remodeled one of our guest bathrooms and the discarded vanity cabinet doors have been sitting in our garage ever since. Our plans were to drop them off at a local dumpster but I was excited to find them lying around last weekend when I had one of those light bulb moments. We’ve needed a space for quite some time to organize all those little reminders and coupons crowding up our kitchen countertops. I’ve never been a fan of covering my refrigerator with flyers, receipts, party invitations, etc… I’ve been meaning to purchase a memo board for quite some time and then I laid eyes on the cabinet door and knew exactly why its been hanging around! 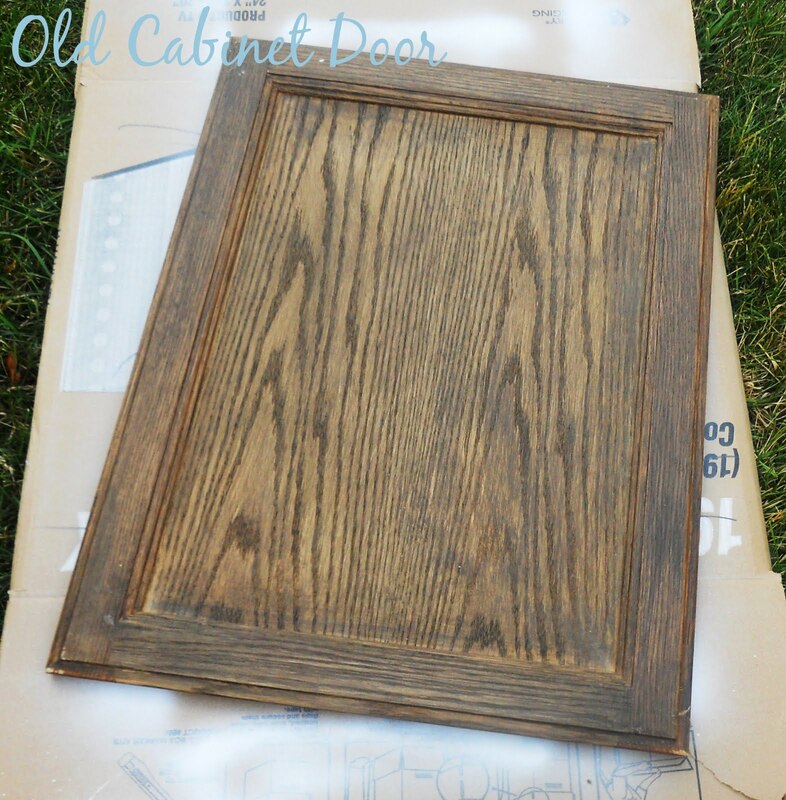 First, take your paintbrush and starting painting the outside frame of the cabinet door. If your door has hardware you will want to remove that first. I painted mine black to coordinate with the rest of the frames we have in our living room/kitchen area. Let dry and then add a second coat. While you are waiting for the paint to dry you can start working on the magnet portion. Measure the width and length of the door in which you would like the magnet board to cover. 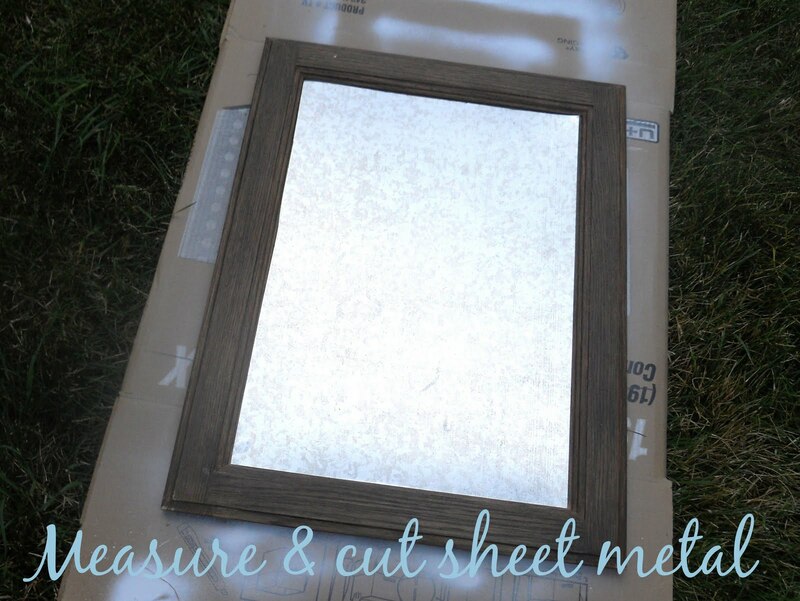 Mark the measurements on your sheet metal and then cut out the square shape with your tin snips. Make sure you are wearing heavy-duty gloves! The sheet metal is extremely sharp. 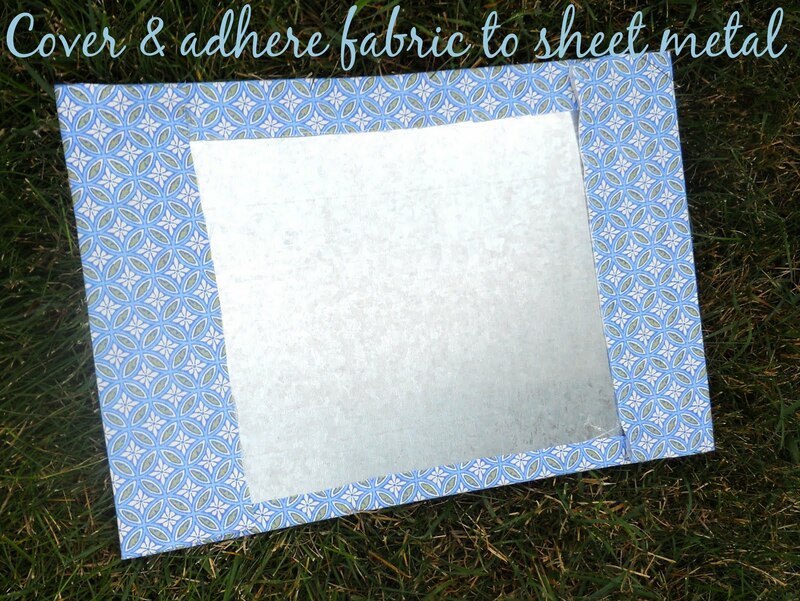 Next, measure and cut your fabric to cover the magnet sheet. Leave a little extra fabric around the sides when you cut in order to have enough to wrap around to the back. Now with your gloves still on place the sheet on top of your fabric; cover and adhere the fabric to the sheet with Liquid Nails. Make sure to pull the fabric tightly when wrapping in order to avoid wrinkles. 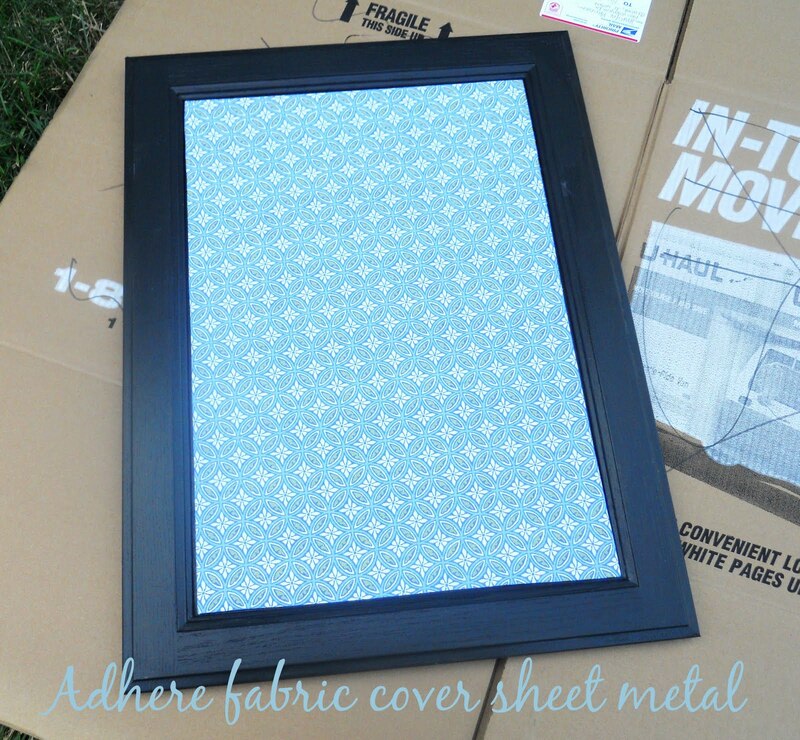 Once your painted cabinet has dried, take and adhere your fabric wrapped metal sheet with some more Liquid Nails to the front of the cabinet door. You’ll want to place something heavy on top of the metal sheet in order to weigh it down and allow the Liquid Nails to dry properly. I used a large toolbox to weigh mine down. Now it’s time to make your magnets! 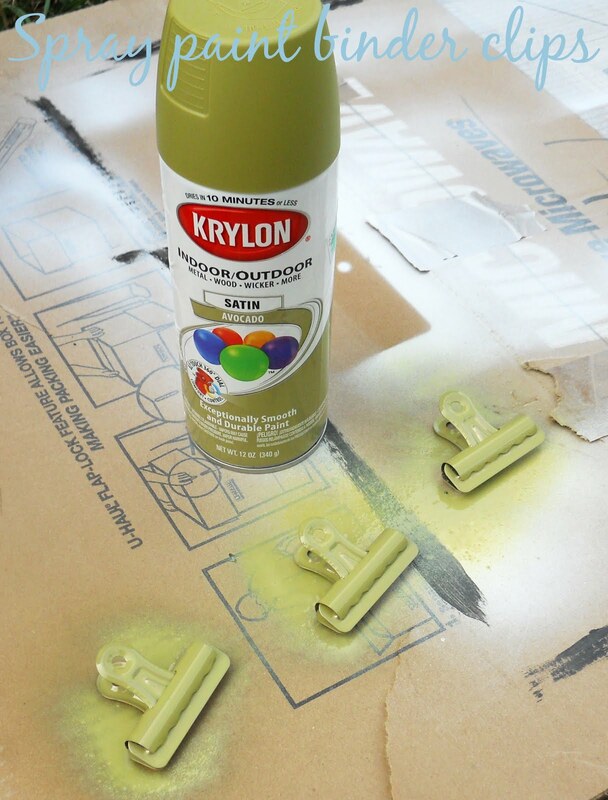 Spray paint your binder clips and let dry. I used a fun avocado green that picked up some of the color from the fabric I was using in the project. Once dried, take your glue gun and adhere a heavy-duty magnet to the back of each clip. Wallah! Now you have yourself some magnet clips. Was that easy or what? If you already have fun and decorative magnets lying around those are perfect to use too! Once the glue on your project has dried it is time for the final step! Take your hammer and attach the claw tooth picture hook to the back of your cabinet door. 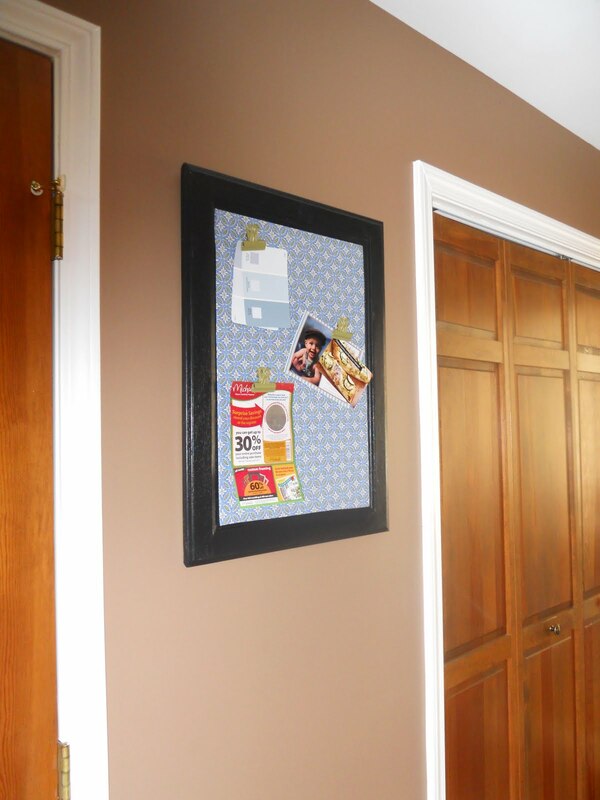 Add your magnet clips to the front and place the door on your wall. 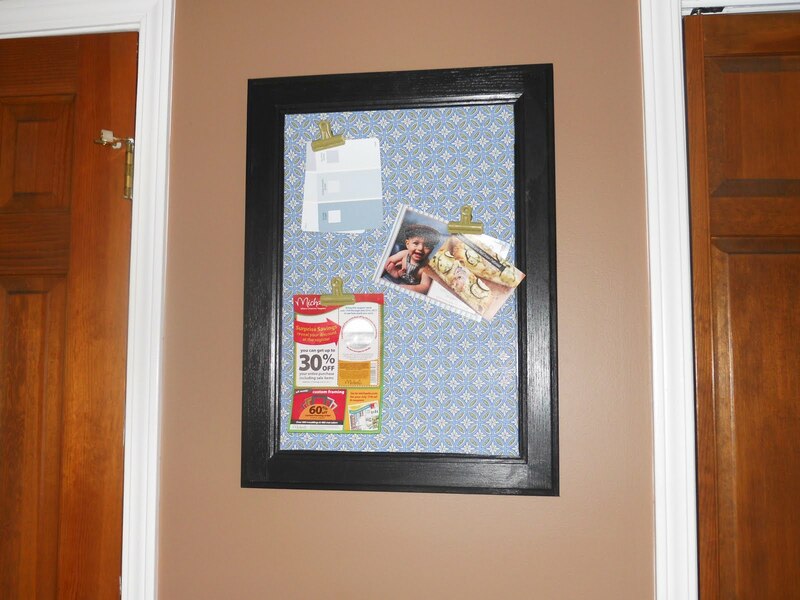 You now have yourself a terrific magnetic memo board! I had the perfect wall space in the hallway from our kitchen to our garage to hang this puppy! That hallway has been looking pretty sad so this ought of spruce it up a bit. This fabric from Jo-Ann’s, called Edyth Dragonfly, is one of my favorites! I fell in love with it a long time ago when we used it for the upholstery for our kitchen stools. I don’t think anyone will catch on to the fact that this was once a door cabinet, do you? Unless, of course they read my blog! Muahahahahaa…. way to determine who will and won’t be on my Christmas shopping list this year. PS. I would recommend not having three crazy doxies running around when working on this project. What a great idea! I love the fabric and the colors you used too-thanks for the tutorial! What a great way re pourpose!! This project turned out great...and no I would have never known it was a cabinet drawer. Super cute idea!! We are about to get new kitchen cabinets............ I just might need some memo boards!! What a GREAT idea... 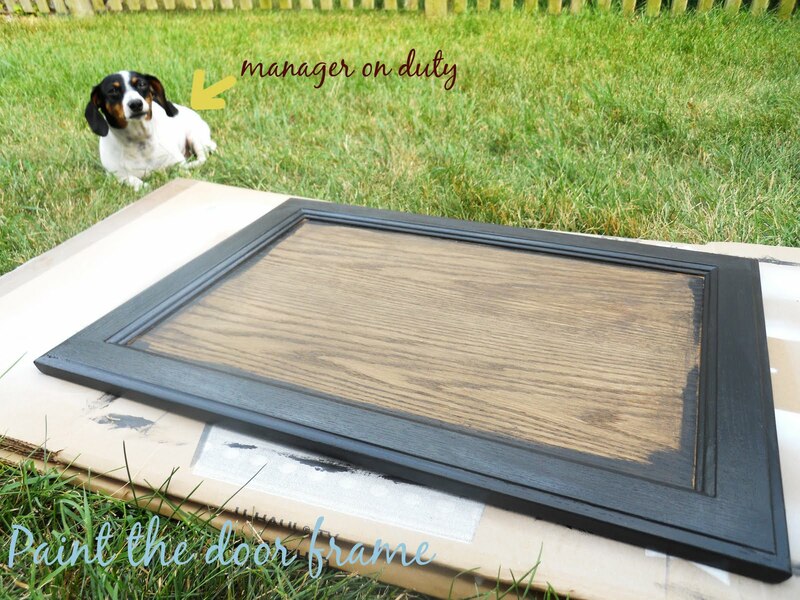 I could even see a variety of these done in a grouping in a home office... LOVE this tip! hey girl!!! it really turned out amazing:) thank you so much for sharing and linkin up with tell me tuesday!! Oh I thought I commented on this before! I love this tutorial! 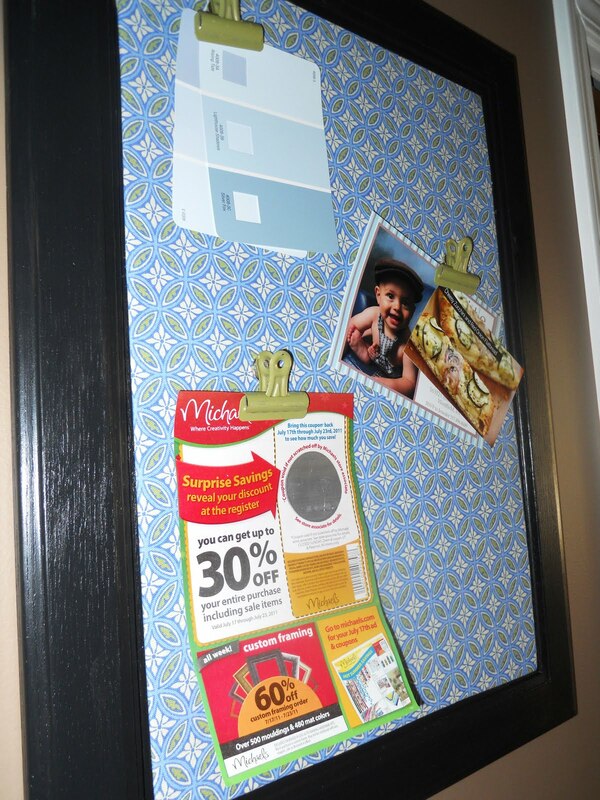 It is such a great idea - I can't get enough bulletin boards! I need a place for my hundreds of lists!